Well, it’s certainly been a fantastic autumn for fiction. The two novels dominating this year’s fiction round-ups are Eleanor Catton’s Man Booker Prize-winning The Luminaries (Granta) and Donna Tartt’s eagerly anticipated third novel The Goldfinch (Little, Brown). 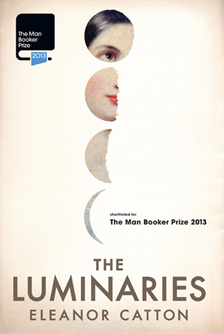 The Luminaries is a tale of star-crossed lovers, murder, opium and séances – a Victorian pastiche in the style of a classic Wilkie Collins mystery set on the New Zealand goldfields, the plot of which is cleverly determined by the astrological charts of each of Catton’s characters. But fear not if this all sounds too complicated; these subtle intricacies can be laid aside as you bask in what a good storyteller she is. The same accolade can be accorded to Tartt. Since she burst onto the literary scene twenty years ago with The Secret History, shrouded in a cloud of mystery – the $450,000 advance, links to the glamorous literary brat pack led by Bret Easton Ellis, her secretive private life – her readers have spent the ten-year intervals between her books on a knife-edge awaiting her next work, but Tartt takes her time and makes no apology for it. 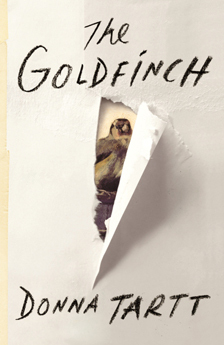 Her second novel, The Little Friend, disappointed many, but The Goldfinch is a fine return to form and an absolute tour de force. The story of thirteen-year-old Theo Decker’s life in the aftermath of a horrific incident in which he loses his mother, following him through the Waspish drawing rooms of Park Avenue, a dusty Village antiques shop, the cardboard-cutout fakery of the suburban Nevada desert, and finally to the criminal underworld of Amsterdam, is a page-turner of the highest calibre: the kind of book that reminds you why you read. Perhaps Dame Antonia Fraser was right when she recently suggested in The Times that a women’s-only prize for fiction (formally the Orange, now Baileys Women’s Prize for Fiction) might no longer be necessary to give female writers their due. Catton won the Booker, Tartt’s been one of the publishing sensations of the year, and the recently announced Costa Book Awards novel category is entirely female. Certainly, looking back over the year, the titles I’ve been most impressed are nearly all by women: Evie Wyld’s second novel All the Birds, Singing (Jonathan Cape), Claire Messud’s The Woman Upstairs (Virago), Kate Clanchy’s Meeting the English (Picador), Hannah Kent’s Burial Rights (Picador) and Susie Steiner’s Homecoming (Faber) all stand out. Though I’d also like to give Andrew Porter’s In Between Days (Jonathan Cape) a shout – the American domestic novel is a genre dominated by literary heavyweights such as Jonathan Frazen, Jeffrey Eugenides and A.M. Homes (see also our interview with Suzanne Berne in this issue), but Porter’s first novel is a nuanced and sympathetic study of a family imploding. In short stories too, women abound – Pushkin Press’s edition of Edith Pearlman’s Binocular Vision won considerable critical acclaim, and my clear favourites of the past twelve months have been the formidable Edna O’Brien’s The Love Object (Faber) and Goli Taraghi’s collection The Pomegranate Lady and Her Sons (Norton). Although technically not fiction, I do also want to mention Nina Stibbe’s gloriously funny and completely heartwarming Love, Nina: Despatches from Family Life (Viking) – her account of life as a nanny in literary London in the 1980s in the form of letters she wrote home to her sister. Her eye for comic detail is impeccable, and the book is an absolute joy. Looking ahead to 2014, big titles that immediately stand out are Siri Hustvedt’s The Blazing World (Sceptre), the eagerly anticipated new Sarah Waters The Paying Guests (Little, Brown) and, hot off the press, the just announced ‘significant’ new Michel Faber novel The Book of Strange New Things (Canongate). Unfortunately, we’ve still a bit of a wait for the latter two, as neither of them is due for publication until the autumn. In the meantime, however, here’s my spring round-up, which offers plenty to be excited about. January sees the new Helen Dunmore The Lie (Hutchinson); Lucie Whitehouse’s gripping page-turner Before We Met (Bloomsbury), the latest addition to the hot new ‘marriage thriller’ genre that will appeal to fans of Gillian Flynn, and Zoe Pilger’s Eat My Heart Out (Serpent’s Tail), a novel intriguingly billed as a romantic comedy without the romance, drawing comparisons with the likes of Sheila Heti and Lena Dunham. The new Hanif Kureishi The Last Word (Faber) appears in February, as does Adam Foulds’ In the Wolf’s Mouth (Jonathan Cape). Penguin, meanwhile, is republishing Deborah Levy’s classics The Unloved, Beautiful Mutants and Swallowing Geography. Claire Cameron’s debut The Bear (Harvill Secker) introduces us to a captivating child narrator – five-year-old Anna, whose world is ripped apart on a camping trip with her parents and three-year-old brother Stick – it’s Room meets Grizzly Man, so not one for the faint-hearted. March is headed up by Hustvedt’s The Blazing World – the story of an embittered New York-based artist who attributes her flagging career to her gender and sets out to fool the male critical establishment. One senses shades of Messud’s Nora Eldridge, the furious woman upstairs. Are we seeing the emergence of a new genre of angry middle-aged women narrators? Let’s hope so! There are also new short stories from A.L. Kennedy in All the Rage (Jonathan Cape) and Lorrie Moor in Bark (Faber); Teju Cole’s new novel, Every Day is for the Thief (Faber); and Rebecca Hunt’s second novel Everland (Fig Tree) – her first, Mr Chartwell, won considerable praise so plenty will be eager to see what her second work brings. Lucy Scholes is a contributing editor at Bookanista and a literary critic and book reviewer for publications including the Daily Beast, the Independent, the Observer and the TLS. She also teaches courses at Tate Modern and Tate Britain.